BHEL Trichy Recruitment 2017 2018 has published and revealed on their official website. It has published for 554 Apprentice in Fitter, Welder, Turner, Machinist, Electrician, Carpenter & Plumber Trade Posts. Want to know more details? Here we are updated information like pattern of examination, BHEL Trichy Syllabus, BHEL Trichy Question Paper, BHEL Trichy Admit Date Release Date, BHEL Trichy Exam Date, BHEL Trichy Result Date. Now check below all details. Graduation details are: Passed 10th class examination under 10+2 system of education . Check all education details on their recruitment notification. 3. Turner - RS.8270/- p.rn. 4. Machinist - RS.8270/- p.rn. 5. Electrician - RS.8270/- p.rn. 6. Mieachanic Motor Vehicle - RS.8270/- p.rn. 7. Draughts Man (Mechanical) - RS.8270/- p.rn. 11. MLT Pathology - RS.6430/- p.m. STEP 1: Applicant must do register themselves for apprenticeship in Government of India Apprenticeship portal (www.apprenticeship.gov.in). 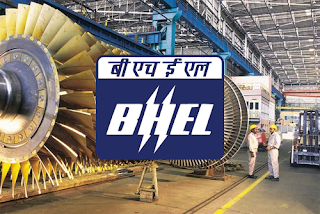 Candidate should select "Establishment Search" under Establishment menu in the above site and select "Bharat Heavy Electricals Limited, Trichy" for undergoing apprenticeship training with BHEL. Registering in the Apprenticeship portal is compulsory and if the candidate fails to select "Bharat Heavy Electricals Limited, Trichy" for undergoing apprenticeship training, their applications will not be processed further. STEP 2: Applicant must do submit their application to BHEL, Trichy through www.bheltry.co.in portal for undergoing apprenticeship training. Candidates are advised to read all instructions given in the link before submitting their applications and take a print out of the application from the online system after submission of the application. The print out of submitted application should be produced at the time of verification.